Hope you are all be fine. I know after reading the title of this post you are exciting to know this cool tip like how to make this possible to recover #Whatsapp messages which are deleted by us. 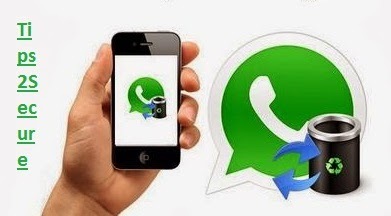 Are you deleted your messages from #Whatsapp application, if yes then also don't worry for this you can still recover this by using this tip. Ok now let me proceed this tip. Actually this is not any trick its a very simple but attractive knowledge. Simply #Whatsapp saves your all conversations by default on SD card. Step 1: Open SD card go to "Whastapp"
Step 2: Then go in database. Step 3: Here msgstore.db.crypt contains all content all the messages sent and recieved. Step 4: It saves last 7 days messages. Step 5: Then open these files with simple text editor, you can see/read all #messages.